Check your personnel static control straps & footwear. A PASS is indicated when the LED lights and a buzzer sounds. 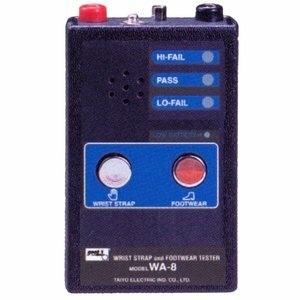 With LO-FAIL or HI-FAIL the buzzer will not sound.